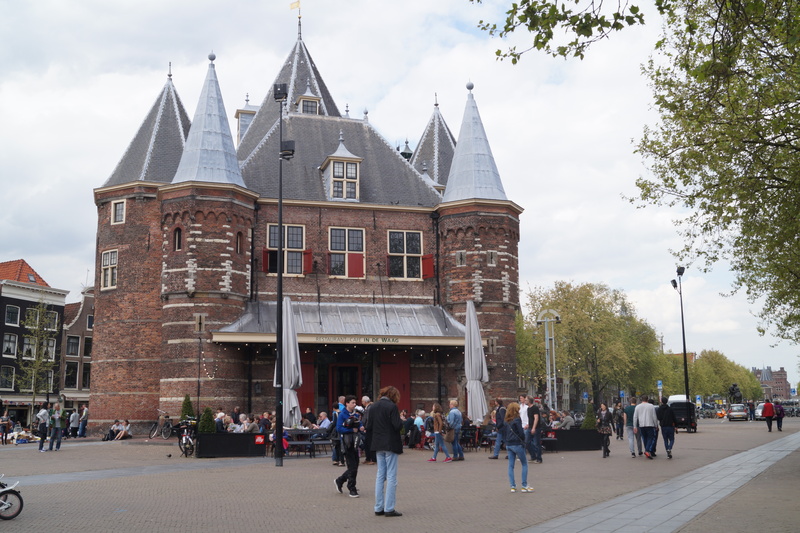 It was a great weekend, really, at the Europeana TV Hackathon at De Waag, in the offices of Waag Society. 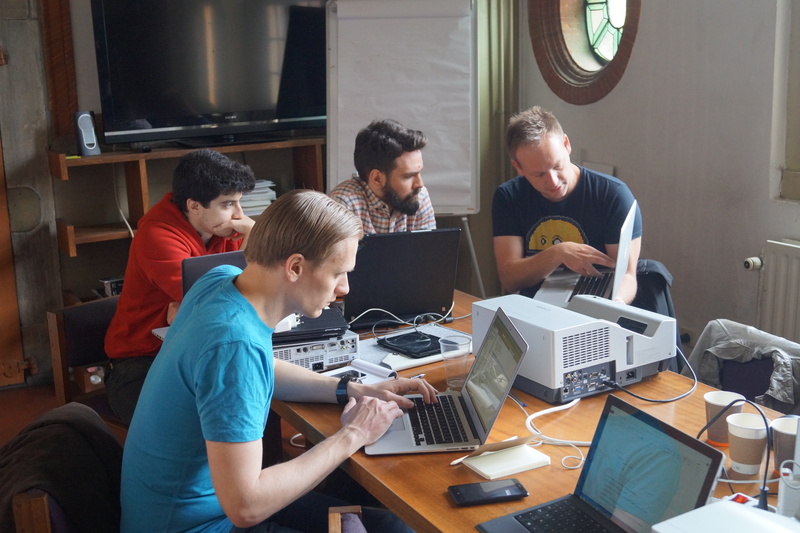 In Europeana Space, we will do 6 Hackathons, with the aim of selecting winners for a Remix monetizing event in London. EuropeanaTV was the first one, and I can say: what a launch! On Friday, it was time to get to know each other and to make teams. There were plenty of developers, and there were nice API’s and toolkits available, such as Noterik’s multiscreen toolkit. Cultural heritage experts from the Institute of RBB, Luce, and Sound and Vision shared their knowledge on content and heritage innovation. But there was also help on business modelling with the input of Simon Cronshaw. I was in fact going there as an observer: I will be hosting the photography hackathon in Leuven (save the date: 25-27 February 2016!). But as it happens, there was also Paul Ruseler from World Press Photo, so I decided to join his team and hack the TV hackathon with a photo concept! We setup a team with Rutger Ronzendal and Pieter Van Leeuwen from Noterik. The idea was to change the photo exhibition experience by using a multitude of large and small screens allowing for interactivity. 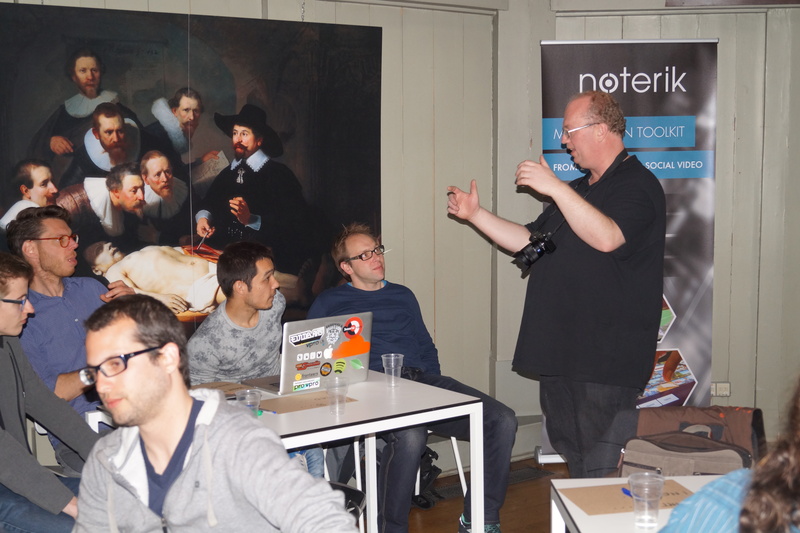 Hackathon groups are forming … with some advise from Noterik CTO Daniel Ockeloen, and the approving eye of Dr. Tulip! It went off for a frenzy 3 days, of which unfortunately I couldn’t attend the last one. The mix of good technology and content support with real business concept advise propelled the participants to think outside of the box and to come up with ever more challenging solutions. The winners are ART(F)inder, Bosch and Mnemosyne. Read more about it here.